The British Gazette » The calm before the storm: Anyone for a pink lady? 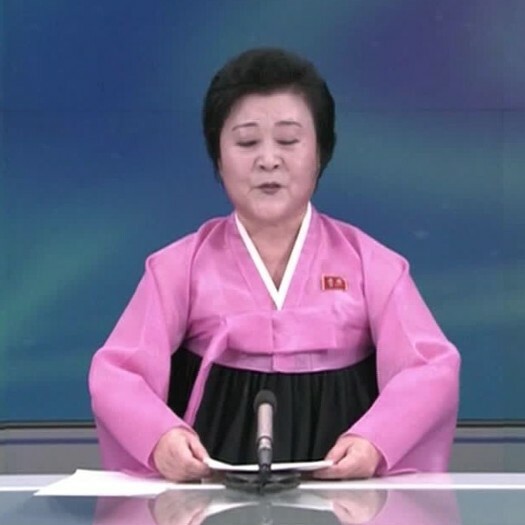 Above, North Korea’s TV anchor-woman, Mrs Ri Chun-hee. Firstly, a quick word about Korean forms of address; in Korea it is the custom to place the surname or family name before the given name/s. Thus it would be Mr Rogers Peter not Mr Peter Rogers. The booming voice, brimming with gusto of Mrs Ri wearing a traditional hanbok in an untraditional bright pink, has become quite familiar to TV viewers across the globe of late. As Hurricane Irma heads towards several Caribbean islands and the US State of Florida (http://www.bbc.co.uk/news/world-latin-america-41156051) a storm of a different nature is brewing further east. Meanwhile, stock markets across the globe appear to be not reacting to the tensions. It is expected that North Korea will launch another missile on Saturday 9th September, the 69th anniversary of the founding of the Stalinist state. There appears to be an air of unreality that pervades public discourse these days. We have the mainstream media in the UK blathering ill-informed about Brexit and potential chaos emanating in East Asia that will spread it’s economic and political effects rapidly across the globe. According to the Royal Cafe Cocktail Book of 1937, it is made with a glass of gin, a tablespoon of grenadine and the white of one egg, shaken and strained into a glass. It can be garnished with a cherry.